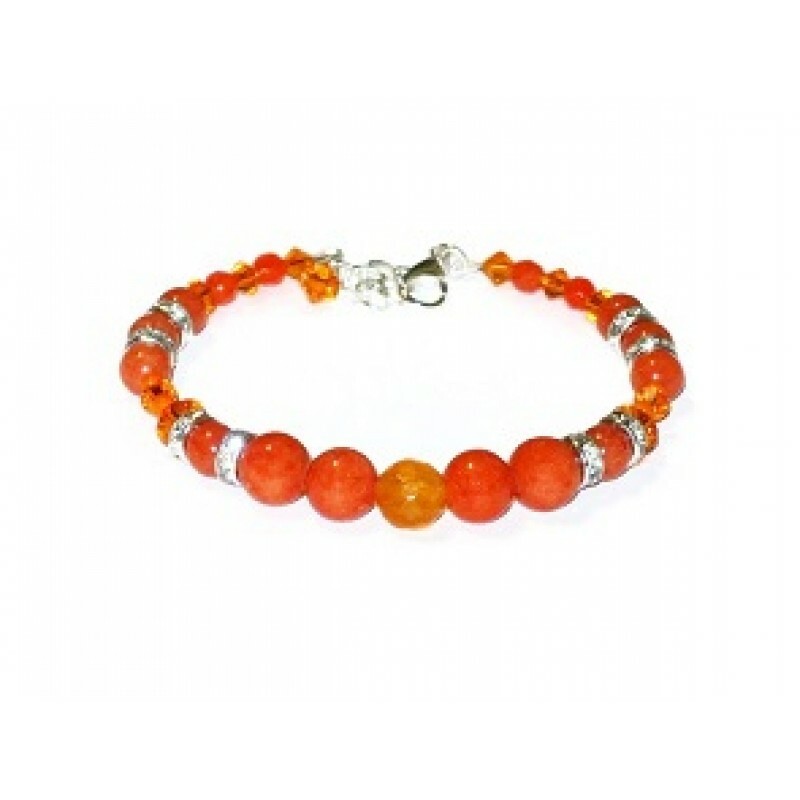 This bracelet consists of different shades of orange, and has a faceted agate center bead which is surrounded by smooth jade semi-precious beads, Czech glass beads and silvertone rhinestones. It is made on expandable wire to allow for a comfortable fit, and has a silver-plated lobster clasp and chain extender. It can be extended from 6 1/2 to 7 1/2 inches. This necklace consists of faceted jade and glass beads and turquoise stabalized beads. It ha.. If you are looking to add a vibrant colors to your jewelry collection, these earrings could be the r.. This necklace has mother-of-pearl flower pendant accented with shell beads, Swarovksi crystals..
You can feel stylish with these vibrant orange jade and gold-plated hammered heart-shaped earr..
Give a little more character to your outfit with these stabilized turquoise and faceted and smooth..
Orange is a great color for any season. The necklace contains mother-of-pearl beads, Swarovski cry..